Former Gov. Rick Perry has met with President-elect Donald Trump again as speculation picks up that he could lead the Department of Energy. Former Gov. Rick Perry on Monday met with President-elect Donald Trump again as speculation picks up that he could be energy secretary. The visit came a day after after reports emerged that Perry, a Trump rival-turned-loyalist, is the president-elect's top candidate to lead the Department of Energy. Ironically, that's the third federal department Perry wanted to abolish that he forgot to list during a memorable 2011 presidential debate. Perry did not speak to reporters as he entered and exited Trump Tower on Monday afternoon, according to pool reports. He was there for over an hour and a half. Perry first huddled with Trump in New York on Nov. 21. At the time, Trump's transition team said Perry was under consideration to be energy secretary or defense secretary. The latter job ended up going to retired Marine Gen. James Mattis. 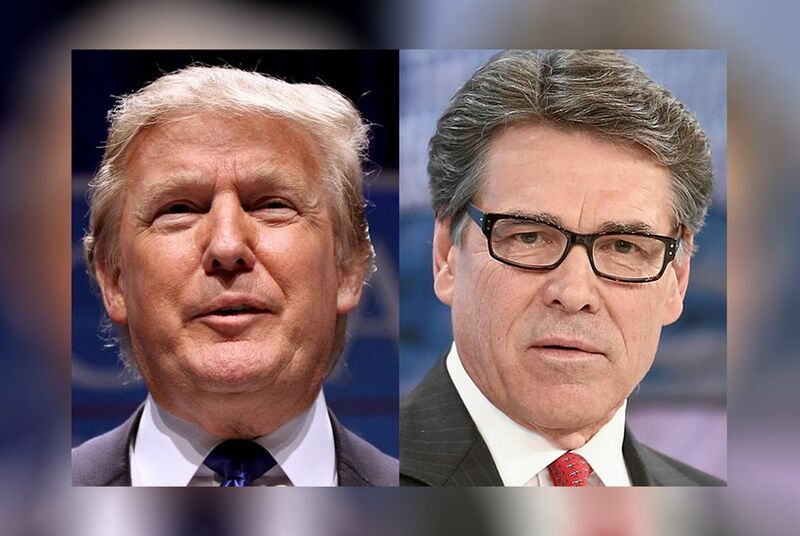 Perry is reportedly in the running for energy secretary with a fellow Texan, Ray Washburne. Washburne, a Dallas investor who was one of Trump's top fundraisers in the Lone Star State, was also at Trump Tower on Tuesday, according to pool reports. A third Texan was also making a second trip to Trump Tower on Monday: former U.S. Rep. Allen West of Florida. West, who now lives and works in the Dallas area, first showed up at Trump Tower last week, when he met with Vice President-elect Mike Pence and other transition officials. West was not too talkative about the purpose his latest visit. “Just back for another chat. That’s it. A lot going on,” West told reporters as he entered Trump Tower, according to a pool report. West did weigh in on the news of the day: recent reports that Russia interfered in the presidential election in favor of Trump. Like the president-elect, West struck a dismissive tone on the issue when asked whether there should be a bipartisan investigation into the reports. "I think there are more important things,” West said, according to the pool report. "We’re about to see a collapse in Syria, Iraq is falling apart. The Iran nuclear deal is horrific. China and Russia are expanding. I think that’s where we need to focus your intelligence efforts." Earlier Monday morning, Trump announced he will nominate retired Marine Gen. John Kelly for Homeland Security secretary, a job for which U.S. Rep. Michael McCaul, R-Austin, had been under consideration. Reports surfaced last week that the announcement was imminent. "General John Kelly is a strong leader with in-depth knowledge about the most crucial homeland security issues facing the United States," McCaul said in a statement Monday. "I am confident he will serve our country well as the next Secretary of Homeland Security."